I wanted to share a neat observation from my planting this weekend. 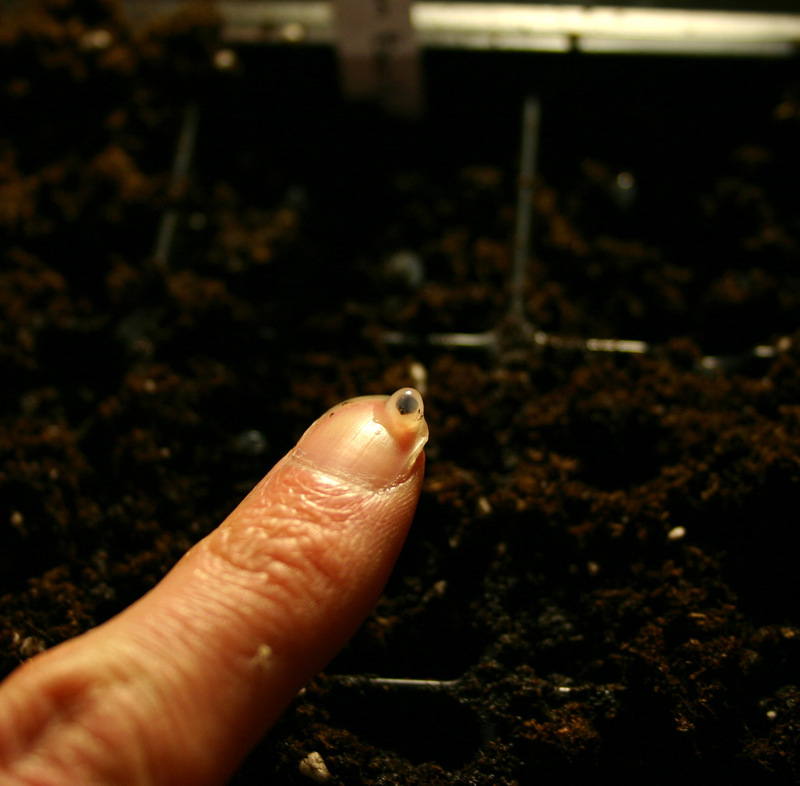 When I soaked my basil seeds they developed a sticky, gelatinous goop ball around them. The goop is mucilage – you might remember it from your primary school craft project glue. The seed surface is covered in polysaccharides, long sugary molecular hairs that tangle up water molecules and become a sticky mucus (similar to the way long chains of lactose make yogourt firm and polyglycerides make body wash slimy). Why would a seed want to surround itself in gross plant snot? A lot of desert and Mediterranean plants, like Basil, or Chia, don’t want to be spread far and wide on the landscape – because they grow in really inhospitable areas. Better to stay close to home, where your parent plant originated, because at least you’re guaranteed a shot at growing up in its place. This sticky reluctance to travelling is called Myxodiaspory, or “mucus spreading”. It also greatly increases the water available to the seed during germination – in areas where water may be scarce, capturing rain water and holding it close gives the seed a chance to survive short-term droughts while it’s getting a foothold into the soil. 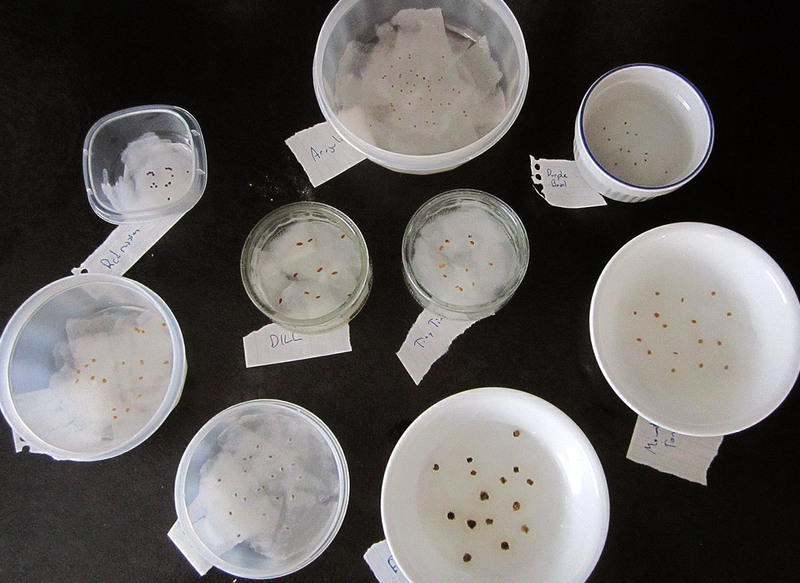 There’s a neat paper about basil seeds here! This year we’re going to focus on tomatoes and herbs, but we have a few thick greens (chard, kale) to plant inbetween. Should be good eating in a couple of months!